You've got five days left to preregister for the Accordance Users Conference, set for September 24-25 in Mesquite, Texas. You can still register afterwards, of course, but it will cost you more! If you preregister, the cost is $70 ($35 for students), but beginning September 1, the cost goes up to $100 ($50 for students). Dr. Abegg is the Ben Zion Wacholder Professor of Dead Sea Scroll Studies at Trinity Western University. 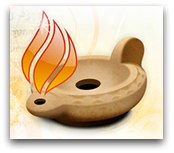 He is an active Accordance user and developer of all the Qumran and Dead Sea Scrolls modules used in Accordance. He will give a presentation on the relationship of the Dead Sea Scrolls and the Bible, and will be present during the entire conference for anyone who would like to meet with him. Dr. Wallace is Professor of New Testament Studies at Dallas Theological Seminary and the Executive Director of the Center for the Study of New Testament Manuscripts. He will give a presentation describing the Center’s work of discovering and photographing New Testament manuscripts in order to further New Testament textual criticism. Plus, it's been announced that the upcoming iPhone/iPad Accordance app will be shown off at the conference, and yours truly has been asked to chair a panel discussion: "The Impact and Future of Mobile Bible Software." Joining in this discussion will be Drew Haninger, founder and CEO of Olive Tree Bible Software, makers of BibleReader for the iPhone, iPad, and a host of other mobile devices (see, who said Bible software companies can't get along?). So, don't miss the preregistration deadline, and I'll see you there! I came across your wonderful blog while conducting a search on tracking my iPad order from China. Yes, I know everyone in the known world bought theirs back in April but I have been resisting temptation (until last week). Nevertheless, my iPad is still on Lantau Island, Hong Kong and has been there, not moving, for three days. *sigh* Patience is a virtue! I do appreciate all the interesting entries you have published about using your iPad for Bible study. I am looking forward to setting up Logos for iPad, as well as Olive Tree. I'm going to consider purchasing the ESV Bible for iPad after reading your review. I will not be attending the Accordance conference (I am afraid I am one of those backward types who still use Windows) but I was interested to discover that the conference is in Mesquite. I live in Dallas (Mesquite is a suburb). I just wanted to say hello and express my appreciation for your very helpful blog. I will be visiting again! Thanks for your kind words, Victoria. I've got upcoming reviews in the works for BibleReader as well as the ESV Bible + (which includes the ESV Study Bible and ESV audio Bible).